Beth teaches on our Breastfeeding for professionals training day. 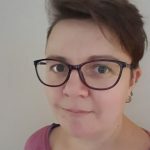 Beth is a midwife and lactation consultant (IBCLC) currently offering 1 to 1 support to families in their own homes focusing on feeding & parenting and she also teaches antenatal classes. She continues to work with families with older babies focusing on gentle strategies to get more sleep and weaning onto solid foods. Kathryn has over 10 years of experience supporting mums to breastfeed their babies. She began her training after the birth of her twins when she received wonderful breastfeeding support. given the chance to train to be a breastfeeding supporter, she jumped at the chance to give something back. She headed up the multiple birth breastfeeding project in Harrow offering antenatal education and post natal support. Kathryn continued her breastfeeding education by training as a Breastfeeding Counsellor with the Association of Breastfeeding Mothers and was proud to be the 2017 winner of the ABM’s Pam’s Prize celebrating Breastfeeding Counsellors and the support they give. She continues to volunteer on the National Breastfeeding Helpline whenever she has some free time. Wanting to increase her knowledge further, Kathryn has trained as an IBCLC. Kathryn offers post natal breastfeeding support in the comfort of your own home and antenatal education in groups or individually. She specialises in multiple birth families. Clinic for Tongue Tie Division and Lactation Support from Edgcare in Edgware. Please call or email to book appointments. Here’s information about the private drop-in Cordelia runs with a group of colleagues at my house in Queen’s Park NW6, on Tuesdays from 10am to 2pm (last admission). Six of my colleagues are IBCLC Lactation Consultants (one of whom is a midwife and one of whom is a nurse). Two of my colleagues are also Tongue Tie Practitioners, and two are cranial osteopaths. The charge is £30 cash. Dads or grandmothers are welcome (although we ask that you only bring one ‘helper’). We get excellent feedback. I think it’s helpful to explain in advance that we work on a first come, first served basis, and we spend as long as necessary with each mother and baby. This can mean waiting a while to see one of us, but once we get to you, you will get all the time you need. You’ll be waiting in the comfortable surroundings of my home, and with the company of other parents and babies. Some parents also bring a packed lunch, so they can spend the day. You can also get lunch nearby. We ask parents to come without a buggy, if at all possible, as the drop-in often gets busy. Clare specialises in helping mothers resolve feeding problems and has gained a reputation for being able to solve almost any breastfeeding problem. All her clients come to her by word-of-mouth referral. She is also a nurse and midwife and teacher on antenatal classes based in South/West London. I have spoken to Clare a number of times and she has been really supportive of this antenatal program, and I myself found her first book invaluable. Clare does home visits for parents who live near her home in South London but she does not travel to North London. She is happy to see you at her home though. Clare does not give telephone advice. Her number is 020 8788 8179. Clare has written books on breast and bottle feeding and has a DVD, all of which demonstrate the ups and downs of breastfeeding and aim to provide as much practical help as needed. Her DVD, Breastfeeding without tears, is offered at a discounted rate to those who attend my courses. Simply give the Media code GU5116 when you call (01624640000) to request the DVD, which is stock code GUDVD5116. http://www.rbooks.co.uk/product.aspx?id=0091906962 This is the link to “What to expect when you’re breast-feeding and what if you can’t?” There is a 25% discount for those who attend my courses, using promotional code BRTP01. http://www.rbooks.co.uk/product.aspx?id=1407029150 This is the link to the ebook version. http://www.facebook.com/theanalyticalarmadillo and http://www.analyticalarmadillo.co.uk/ for breastfeeding forums and blogs. Monday – 10-1pm, Parkfield Childrens centre, 44 Park Road Hendon NW4 3PS. 0208 359 3590. Tuesday – 1-3pm, Ridgeway Birthing centre, Chase Farm Hospital, 0208 375 1948. Wednesday – 9.30-11.30pm, Barnet Hospital Parent Craft Room Level 2. 08451114000. Thursday – 10-12pm, Childs Hill Clinic, Gath Road NW2 2NJ. 0208 209 0333. Friday – 9.30-11am, Newstead Children’s centre, 1 Fallows Close London N2 8LG. 0208 359 3460. Oak Lane Baby Clinic (and Health visitors): Oak Lane, East Finchley, London N2 8LT. 0208 349 7000. Barnet hospital – Infant feeding team/breastfeeding support 0208 216 5141. Postnatal ward 0208 216 5218 or 5219. La Leche League – Helpline 0845 120 2918. National Breastfeeding support helpline : 0300 100 0210. 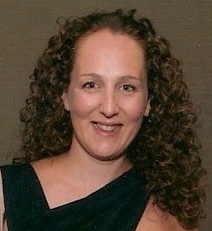 Nicole Kyriakides (N3 and around) NCT breastfeeding counsellor 0208 371 9339.